Photo of 2019 MKC courtesy of Lincoln. 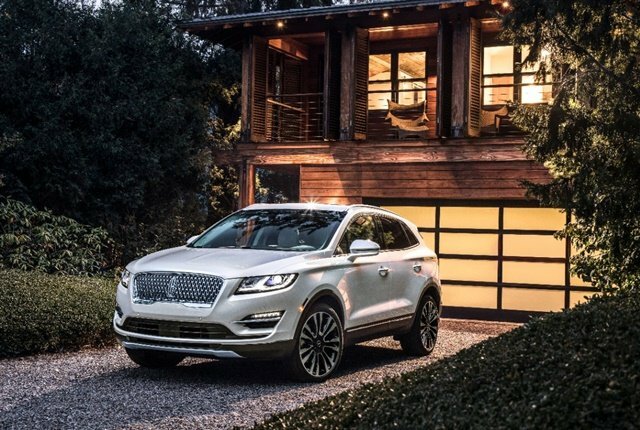 The 2019 Lincoln MKC will add active safety technology, a refreshed front end, and app-based services when it goes on sale in the summer, Lincoln has announced. The MKC will add pedestrian detection to its forward-collision-warning system that's part of an optional Technology package for $2,295 on Reserve and Black Label trims. In addition to the new front end and grille that's a nod to the 2018 Lincoln Navigator and replaces the angel-wings design, the MKC also adds ownership perks through the Lincoln Way app that allow clients to start, lock, unlock, and locate the vehicle. Lincoln Concierge allows owners to schedule pickup and delivery. Lincoln wil pick up the vehicle from the client's location and provide a complimentary service loaner.